There is something about how our brain responds to smells. It can trigger memories, it can make us sneeze, it can put us off or it can make us smile. That’s how powerful a scent is – it is bound to have some kind of effect on our psyches. And it is this superpower of fragrances that aromatherapy exploits. An alternative form of medicine, aromatherapy uses plants and plant products to heal a person by improving his mood. It is believed that specific scents trigger certain parts of our brain, thereby altering our mood accordingly. Aromatherapy involves the use of pure essential oils extracted from a plant. Some practitioners consider this oil to contain the best of the plant, or rather, it’s ‘soul’. Scientists believe that on inhalation, the fragrances of these oils stimulates the olfactory system, which sends a signal to the limbic system, the part of the brain that controls emotions and memories. This is why certain oils have the power to stimulate while others relax. 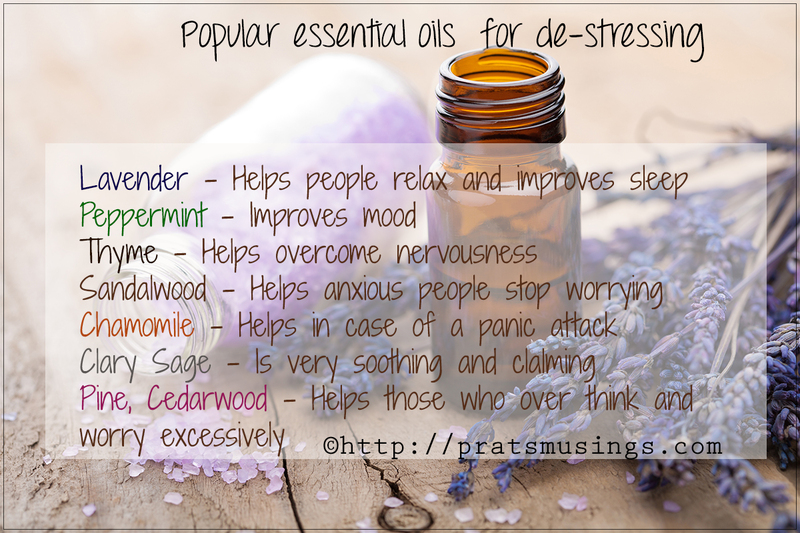 The most popular use of aromatherapy is probably to de-stress or relax, which isn’t surprising considering the rat race everyone is running all the time. True health involves eating right, working out, sleeping well and not stressing. While the first three have quantifiable ways of doing them, getting rid of stress isn’t that simple. This is where techniques like those of aromatherapy can help. While it is well known that visuals of nature tend to soothe our tired nerves, the same applies to natural scents in the form of pure essential oils. Aromatherapy can be practiced using essential oils, hydrosols, infusions or vaporizers, but of these essential oils are clearly the most popular. Essential oils are very concentrated, with more than 900 kg of roses needed for less than ½ kg of rose essential oil! This also explains the slightly higher prices of these oils. But the fact is that since a very small amount is needed at once, a small bottle goes a long way. Opting for natural or organic versions makes a huge difference since synthetic versions have many chemicals that could end up having an adverse effect. 1. Spray Mists – Mix an essential oil with pure water or a carrier oil and pour in a small spray bottle. Spray on your pillows or office chair whenever needed. Swati, my friend at ThePurpleFlower has some amazing recipes to make your own spray mists. You can view it here and here. 2. Massage Oils – Mix your favorite relaxing essential oil into your regular massage oil and enjoy the double benefits of an aromatic massage. Ensure that the base is of pure coconut oil for extra benefits. 3. Balms – You can include your choice of essential oils in balms that you can make at home. Check this post for making your own lotion bars. 4. Bath water – Mix a few drops of the oil in your bath and soak in to reap the benefits of the aroma spreading through the bath water. While most people can safely use aromatherapy, there are some situations which require extra caution. Avoid using essential oils if you suffer from any kind of allergies or asthma. Some essential oils are perfect for pregnant women, but it is advisable to check with your doctor before you starting using it. Direct application is not advised for children below 5 years. Always keep the oils away from the eyes and mouth to avoid irritation and ingestion. Always inform the practitioner or massage therapist about any current or previous medical conditions similar to the above. Also, if you’ve undergone aromatherapy recently, do mention it on your regular doctor’s visit. Now the next time you feel a panic attack coming on, you know what to do; just reach out for that bottle and let the fragrance take you to zen-land! Can you suggest some brands for this product which are good?